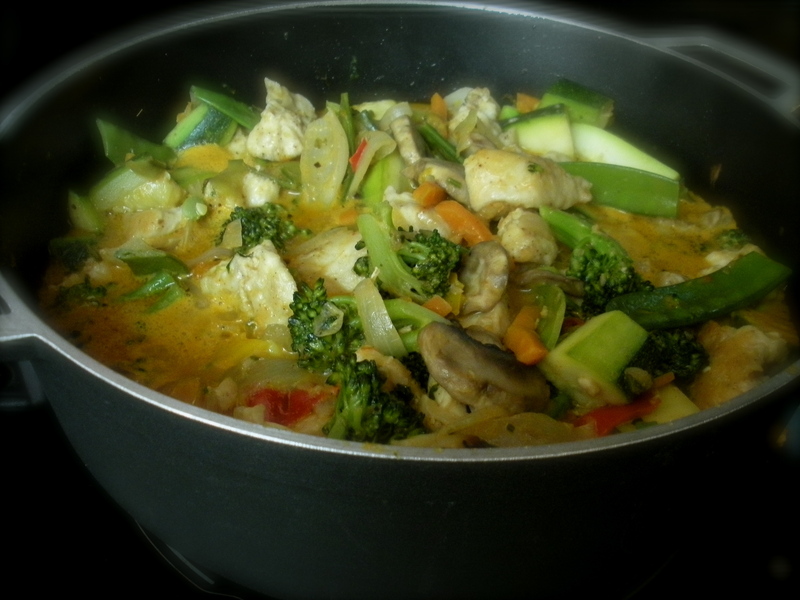 I am not entirely sure why I always crave Asian food, and why I have such a soft spot for it…. but I have come to realize that so many things that I cook are Asian. 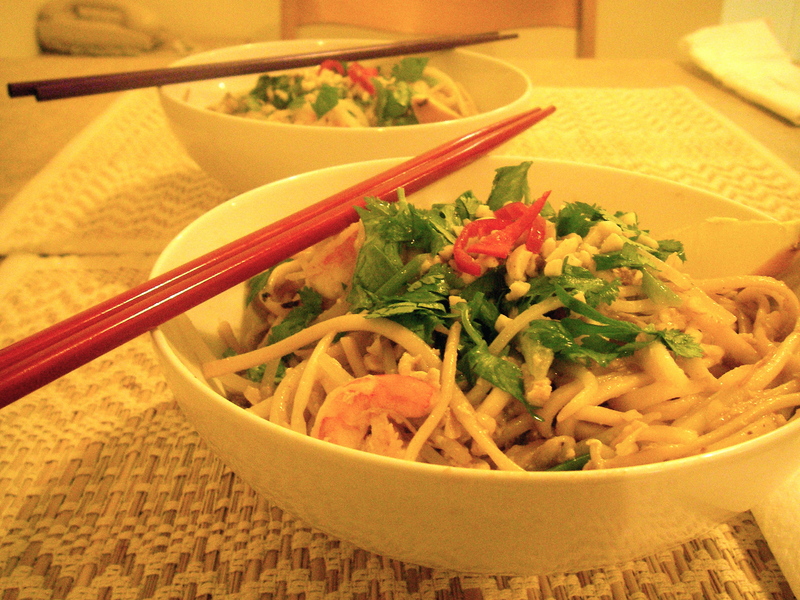 So a few weeks ago, I started on a semi-obsessive mission to make: Great Pad Thai. I have miserably failed a few times, watched shows, where even the food-stylist could not make the dish look appetizing, and read many terrible recipes… until I stumbled upon: Chez Pim. 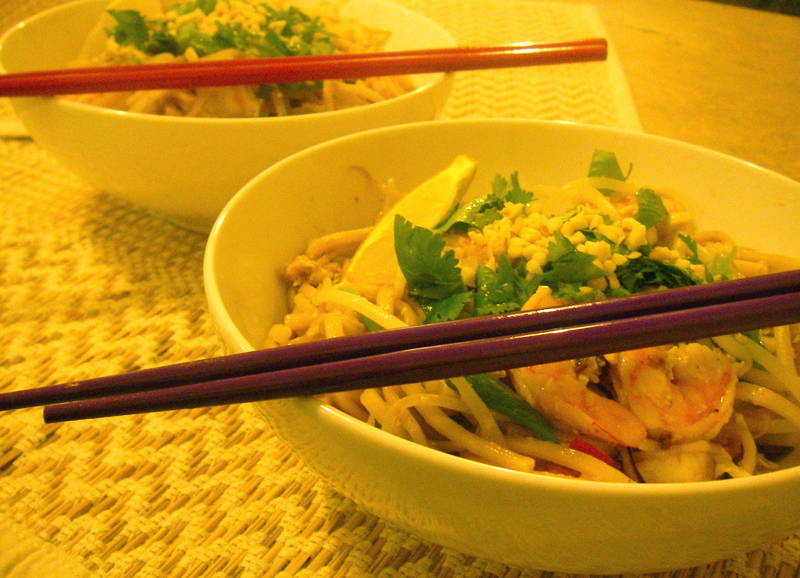 She provides a great post on all things related to Pad Thai. She explains what all the ingredients do, how they should be prepared and the whole process. However, it was a little difficult to follow, even when I read it twice before starting to cook, and especially while cooking at the same time. So what I am doing is basically dumbing her tutorial down, to make it easier to follow and as per her comment (it really is fool-proof). In a saucepan heat all the ingredients together until they are heated through and form a smooth sauce. Turn off the heat, and leave for later use. Bring water to the boil. 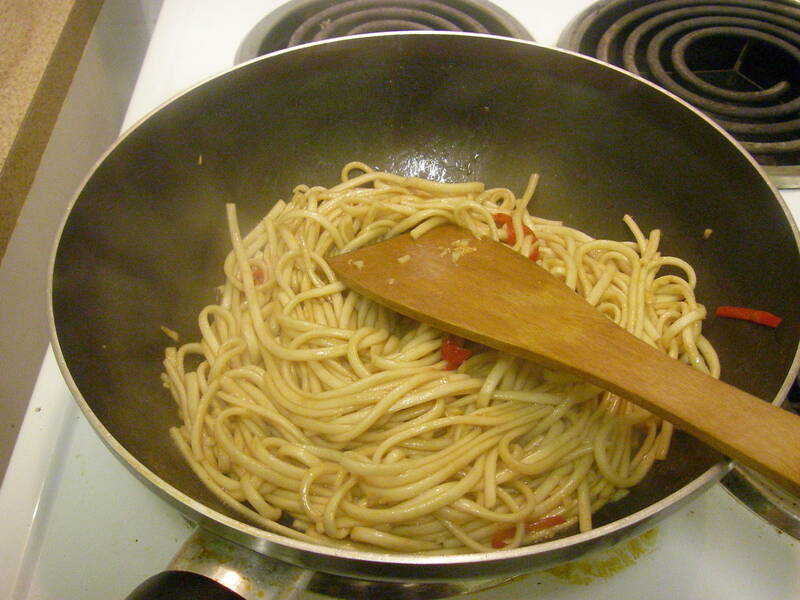 Add noodles and cook to the point where they are almost al dente. (Basically cook them to the point where they are arguably eatable). Remove from heat, strain through colander, and immediately cool off with cold running tap water, to prevent from cooking further. Heat wok over high heat, until very hot. 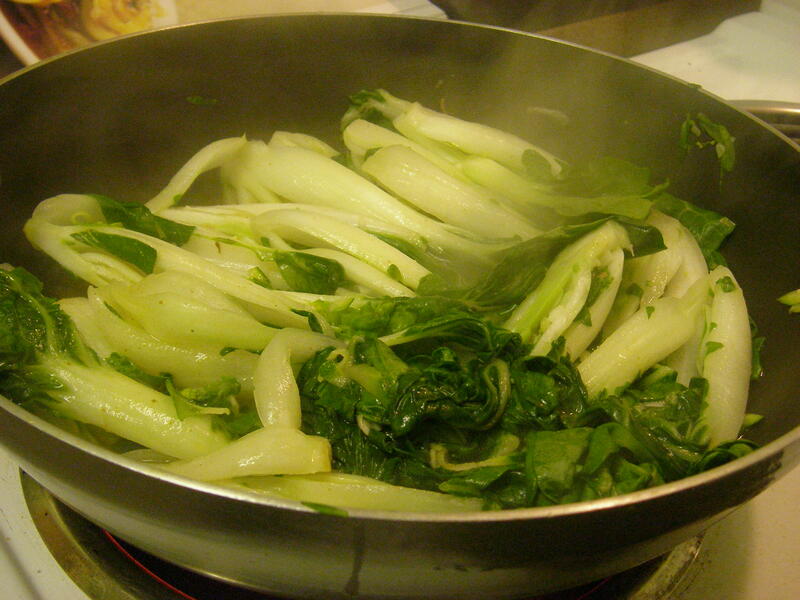 Add vegetable oil, swirl to coat most of wok. Add tofu and garlic. 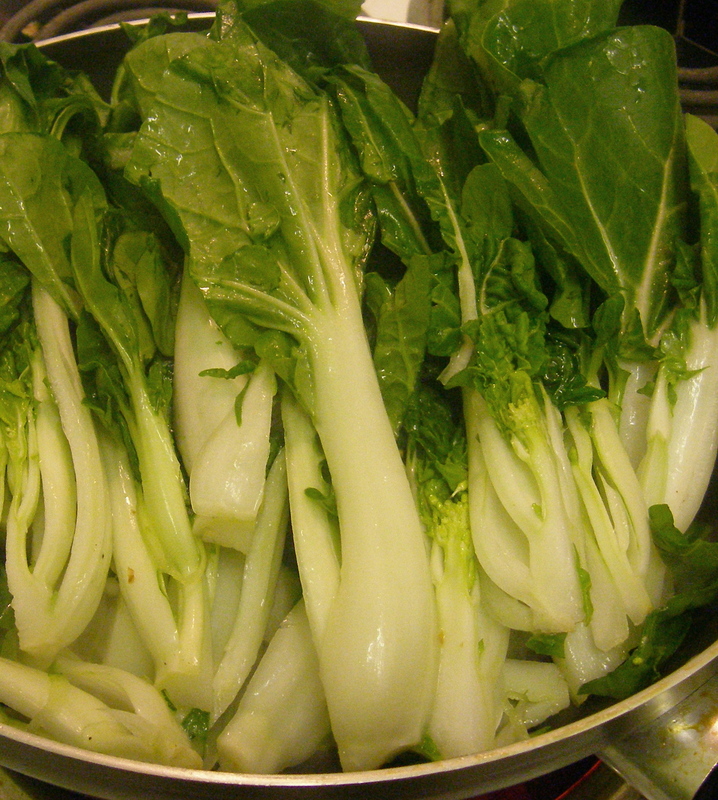 Cook until crispy and brown on edges. 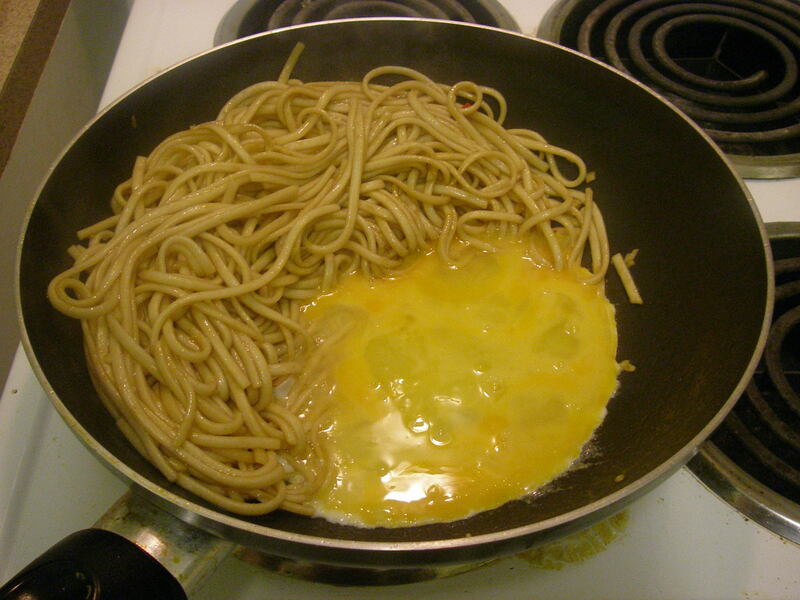 When noodle is ready, move up the side of the wok, and pour in scrambled eggs.Let them cook for 15 seconds, then toss everything together. 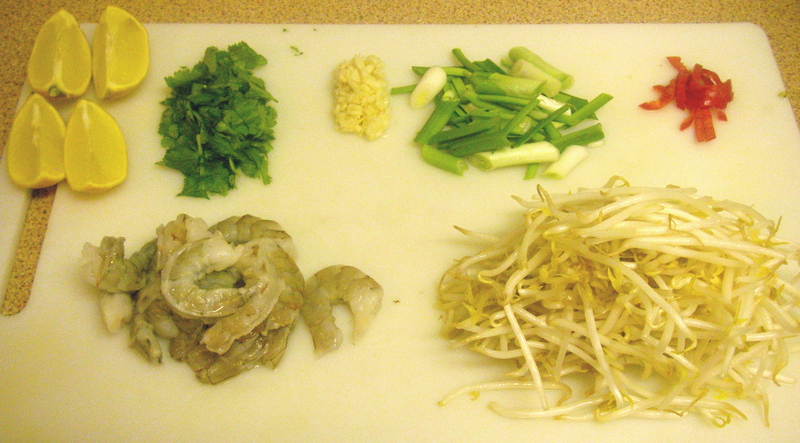 Add shrimps, peanuts and beansprouts. Keep things moving. If mix looks pale add more sauce. 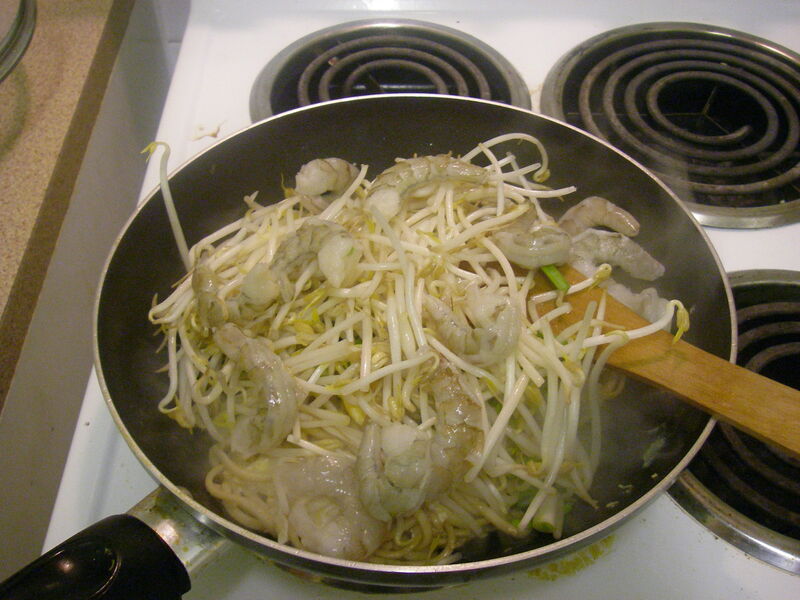 When shrimps are done, add spring onion, turn off the heat and give a good final stir. Hope you have as much luck as I did with it! We love stir fry and used to make stir fry ALL the time at 13 Beaver and 70 Florence. Here is to those great times at Clark! I got this recipe for stir fry’s from Women’s day magazine. Don’t ask me why I received this magazine in the first place. It just started arriving one day. (http://stage.womansday.com/Media/Galleries-slideshows/Stir-Fry-A-Complete-How-To). Whisk a 14 oz can light coconut milk together with 2 Tbsp brown sugar, 1 Tbsp red curry paste (modify based on your taste), 1/4 cup of chopped cilantro or mint, and 1/4 tsp of salt. I used both cilantro and dried mint. Whisk until blended. Take about 1 Lb of chicken (or another protein) and put in a zip lock bag with 2 Tbsp cornstarch and shake to coat. Add some salt and pepper for additional taste if you want. Add chicken to a skillet and stir-fry over medium-high heat for about 3-5 minutes until cooked through. Remove to a plate. Add 2 tsp of oil to skillet. Add the onion to the skillet and cook until translucent. Add the four cups of vegetables and stir-fry for another 3-5 minutes until crisp-tender. Add sauce to skillet and bring to simmer. Add the chicken; simmer 1 to 2 minutes until sauce thickens and coats the mixture. You can add a little extra cornstarch to thicken the sauce. Serve with rice or noodles and top with one of the finishing touches.